CRT Wins Social Media Contest: Most Pup-ular Story! Last week, Acme Controls held a contest on social media to guess which story in their news page was the most popular! Guess who won? We did! A big thanks to Acme Controls! They’re a Chicago-based distributor and repairer of HVAC, boiler and industrial electronic parts for contractors, facility managers and lines of manufacturing. Check out their website here: http://www.acmecontrols.com/. So what was the winning story? A man recently built his dog an air-conditioned bed, because she was getting hot outside and digging up the flower bed to lay on the cool ground. Isn’t she cute? 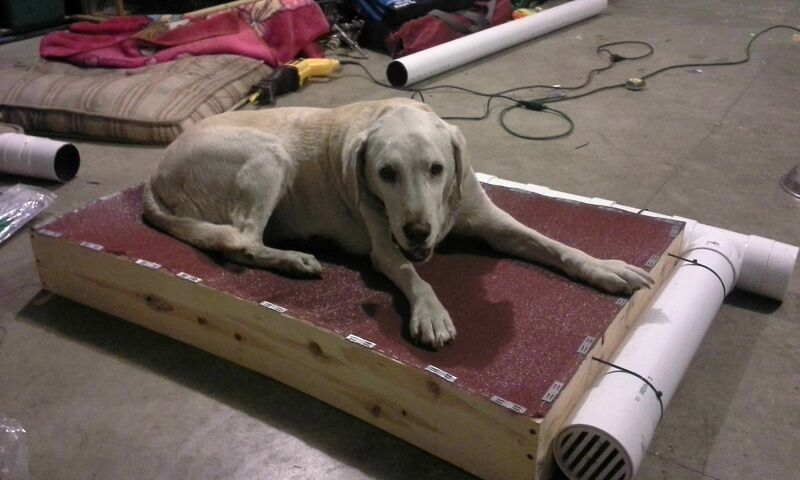 Read the full story (with instructions for building your own AC dog bed, if you’re interested) over at: http://www.pawmygosh.com/ac-dog-bed/! And once again, thanks to Acme Controls for running the contest. We’ll be receiving our winnings — a hat! — in the mail soon. We look forward to sharing it with you all. Our hat came in the mail today! 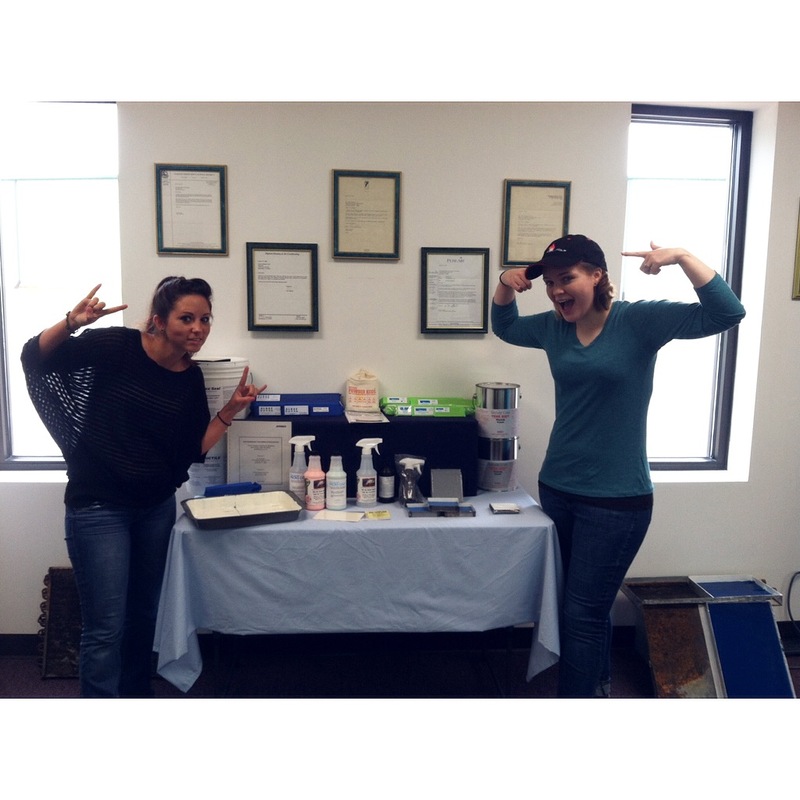 Our social media manager, Molly Tessnear, is wearing the hat, while our client services representative, Candice Eaker, rocks out in front of our product display table. Awesome! Check out the full article at the link above or see a few quick tips below. Aim to set your thermostat at 68°F. If it’s lower, you’ll likely end up wasting energy and shortening the life of your system. Change your air filters each month to prevent clogging that can reduce airflow and efficiency. Have your unit serviced by a professional HVAC maintenance technician or contractor each year. The best time to do this is spring – before the heat of summer hits. And be sure to call for repairs at the first sign of trouble.